Seeking school supplies for tornado collection! The Religious Life Council is collecting school supplies for children affected by the tornado. 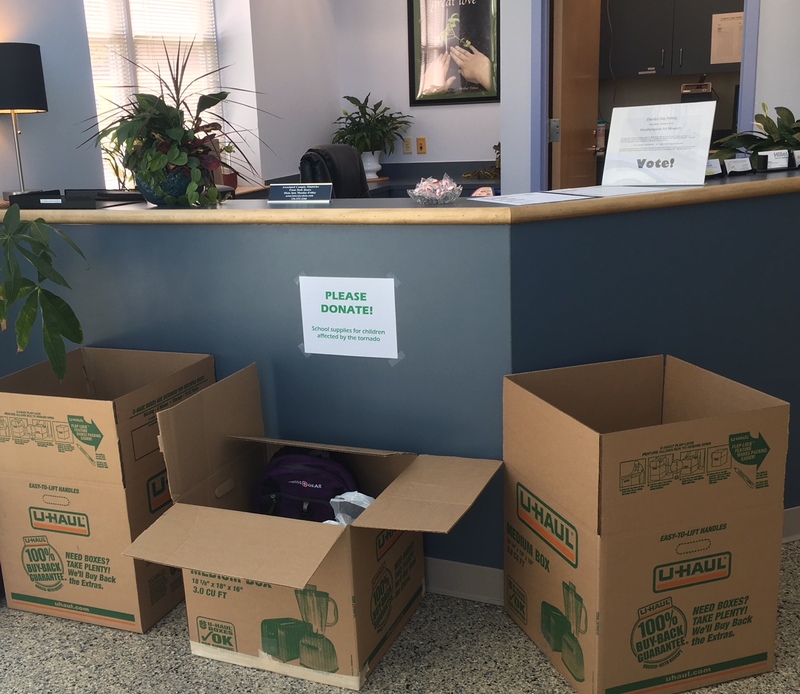 Donations can be dropped off here at the ACM, 500 Stirling St., between the EUC and the Walker parking deck. Marked boxes are near the entrance. The most needed supplies are 24 pack crayons, 12 pack colored pencils, wide-ruled loose-leaf paper and yellow #2 pencils. Wesley-Luther is also trying to restock the Spartan Open Pantry, which is very low. If you have leftover flex please think about buying some food for the pantry. ← Looking for a way to help with tornado relief?